At Travelstop, we are constantly listening to your feedback and adding new features to serve you better. And today, we’re super excited to announce two brand new features — and lots of other smaller, yet important, improvements — to our platform. If you missed our previous release updates, you can check them out here. Being an Asian company, we understand the importance of localisation for better user experience. There are a wide variety of languages spoken throughout the region, and many of our users have offices across the region where employees speak different languages. 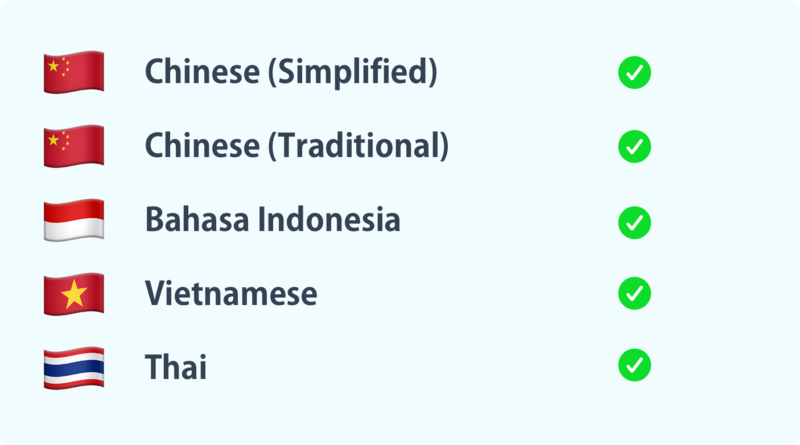 Starting today, we will be adding support for five new languages: Chinese (Simplified), Chinese (Traditional), Thai, Bahasa Indonesia, and Vietnamese. We will be adding support for even more languages, and localising our product for more regions soon. Stay tuned! Travel managers, we understand that you sometimes need to make business travel arrangements for your employees — either because your executives are too busy to book for themselves, or just because you want to own and manage the entire booking process. Now, we’ve made it super easy for you to book on behalf of your employees. Just go through the travel booking flow, and you’ll find an option to select an employee from the list on the booking summary page. The best part is, all their details and preferences will be auto-populated so that you never have to fill a booking form ever again! Just select your employee of choice, and proceed to book. It’s that simple. If you’d like to learn more, click here for step by step instructions. That’s it for now. If you are using Travelstop already, we’d love your feedback. Just drop us a note at feedback@travelstop.com.